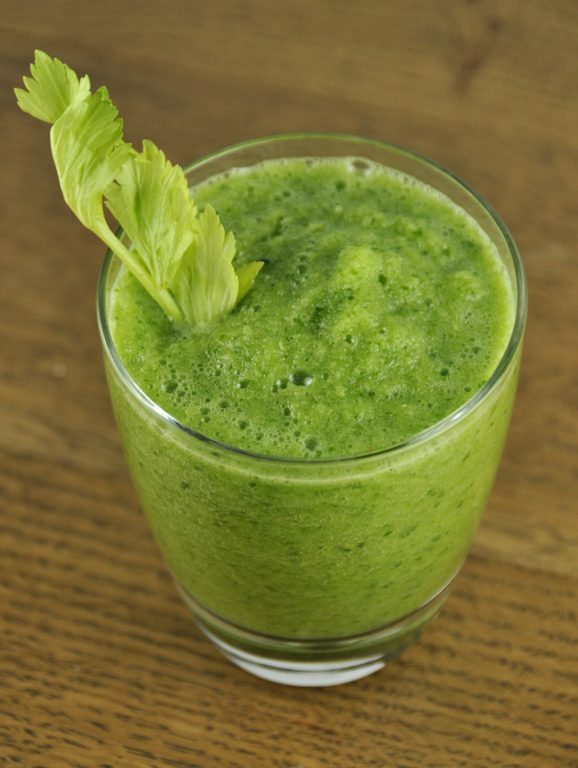 This quick and easy recipe for healthy green vegetable juice that is made in a BLENDER as opposed to a juicer, gives you the option to strain the juice for a thinner consistency, or just drink it straight from the blender with all of that yummy, nutritious pulp! Mr. Wishes and I have been toying with the idea of buying a juicer for a while now. The problem is, they are SO expensive (for the high quality brands which is probably what we would want to go with). We just have a hard time justifying the large cost of something we know will hardly ever get used and just sit in a dark cupboard somewhere most of the year. Also, buying the juices already made at a juice bar or grocery store are pretty pricey… so it definitely pays to learn how to make these drinks at home. There are SO many health benefits to juicing (not to mention the super energy boosts you get from drinking the juice), so when I saw this post on a blog I follow and love (jusataste.com) about making green juice in a blender I knew it was going to be a winner. 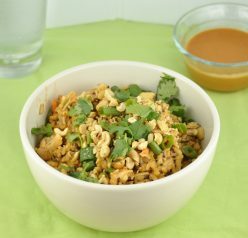 I changed it a little bit to my liking, and you can do the same – go ahead and throw in any green veggies that you love. I don’t know why I have never thought to make green juice in a blender and pour it through a strainer. This is definitely much cheaper than buying a juicer. Although it may not give you the exact same results as a juicer, I think it’s a great substitute! And like I said above, you don’t even have to strain it and lose the nutritional benefits of all the good stuff that’s in the pulp. If you aren’t looking to do an actual juice cleanse and just want a healthy snack or breakfast, drink it as a smoothie – that’s what I did this time around. 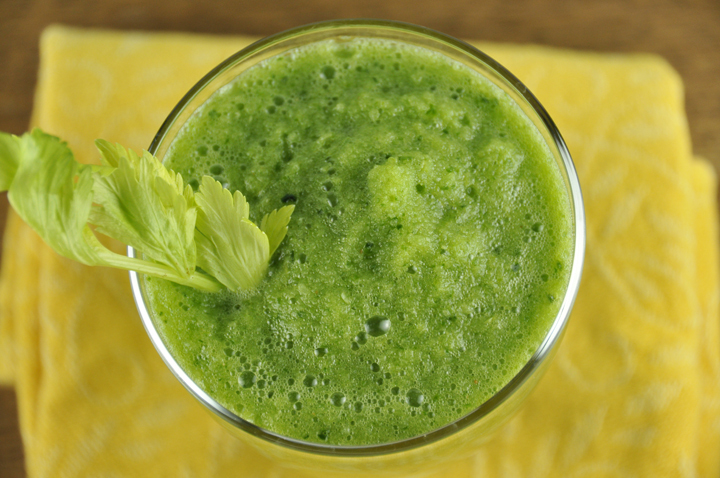 This quick and easy recipe for healthy green juice is made in a blender instead of a juicer. You can strain the juice for a thinner consistency. Add all of the ingredients into the blender in the order in which they are listed. If you want to enjoy the pulp with your juice, pour the mixture into glasses and serve. NOTE: I prefer my juice to be pulp-free, so to take it one step further, I like to strain the mixture through cheesecloth and wring out as much liquid as possible. 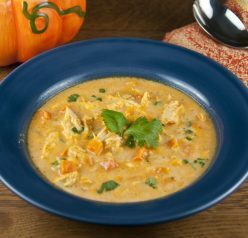 Opt for whatever consistency you prefer, but of course there are additional hearty nutrients in the pulp. Oh my I see you are totally on the correct eating path!!! I was consuming fudge yesterday therefore I needed to do a double session of Zumba lol! I like the mix of apple & cucumber!! I sometimes think about buying a juicer, too, but always just stick with my trusty blender. I definitely would like to drink this as a smoothie! A juicer would be nice, but for now the blenders are just fine! We do this exact same thing!! No Vitamix for us (I wish! 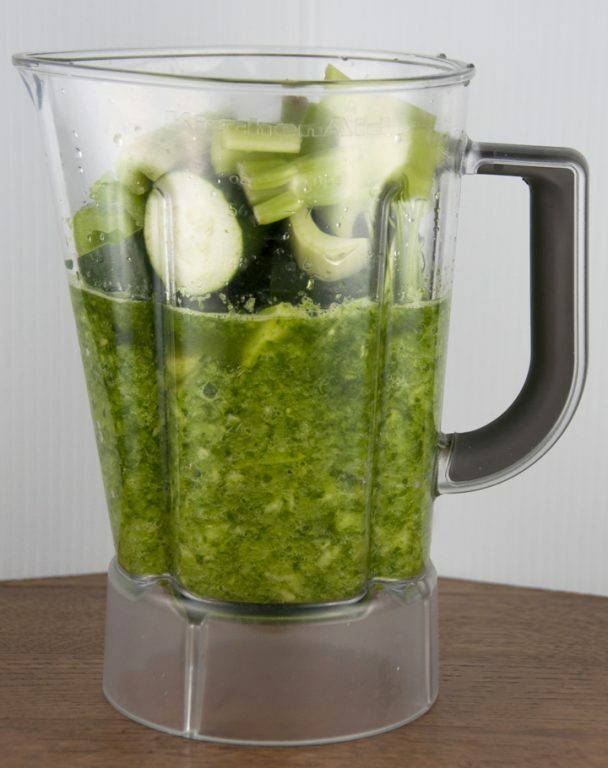 ), just our regular old blender, but my husband drinks his green juice every day! I’m trying to be as good. 🙂 Thanks for sharing this variation… will have to try it out! I’d like to get better at it, too! Thanks, Marie! I am a hoooge fan of my blender made green “smoothies” and yours sounds super healthy and delish! This is just the reminder I needed…green juice here I come! Thanks, Eric! I love the color too! Ive been making this lately too! I had almost the exact same ingredients, but I used a food processor. I had it for lunch on Tuesday with pb toast and I actually like the texture better than juice! 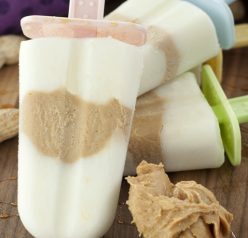 This looks soo fresh and yummy! Love the combination of ingredients and the beautiful green color. I bet this would work great with the Magic Bullet! This juice looks super healthy! Juicers are pretty pricey – this looks awesome! I haven’t gotten a juicer for the same reasons. This looks totally doable though…I am going to try it! We’ve toyed with the idea of buying a juicer, but decided against it. 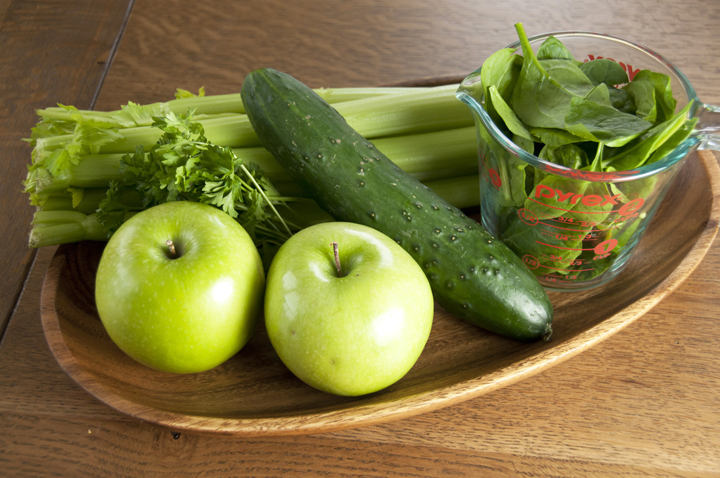 We love veggies, but prefer to eat them rather than drink them – so the juicer probably wouldn’t be used that much. Still, when I see recipes like this I wonder! Good stuff – thanks. I am one of those strange people who prefers to drink my veggies! I can’t bring myself to buy a juicer either. Looks like you found the perfect solution. Sure does look like one healthy drink! I need to juice more, I know I know I know. I love this uses a cucumber, often something I’m not sure what to do with besides pickle. Thanks! So cool that you can make juice in a blender. Still a lot of work to strain it, though. I have been making all of my smoothies in my food processor since I killed my blender. I’ve been debating what kind of blender I want, but in the mean time, the food processor has been doing an awesome job. You’re right – either way it’s not an easy task! I prefer blending over juicing since I assume all the parts of the fruit are beneficial to us in some way or the other. Why waste something that can benefit you? Also I don’t strain the drink after making for the same reason: to get all the nutrients from the fruit. But everyone have their own preferences. I understand that most people don’t like the taste of pulp. I feel the same way! Why throw out those nutrients?! Love your green smoothies , I’m trying to get my kids to incorporate it into their morning regiment. Your informative post is very helpful for any kind of person who wants to live healthily, your Green Juice in a Blender Without a Juicer process is good, To make a green smoothies juice, you suggest some Ingredients and Instructions it is so good, I will try and hope juice will be healthy and yummy.